When a dental emergency strikes, there is no one who wants to be stuck in a strange city far from their regular dentist. Emergency Dentists USA is the perfect solution for that dental emergency, because we have the right Oceanside emergency dentist for your cracked tooth, lost filling or broken braces. Our convenient listing of Oceanside emergency dentists includes after hours dental clinics with office hours that begin as early as 7 a.m. and as late as 7 p.m. along with Saturday hours. This makes it simple for you to get that terrible toothache cared for without missing a single day of your vacation. Choose emergency dental clinics that provide sedation dentistry, digital x-rays and even same-day appointments. Check out our 24-hour emergency dentist hotline to speak with a live operator who helps you to choose a great Oceanside emergency dentist and even sets up that first dental appointment. He or she is familiar with many dental problems and is ready to help you find a solution quickly. Suffering from a terrible toothache means missing out on the joy of your Oceanside vacation. Emergency Dentists USA provides you with a carefully chosen selection of after hours and emergency dental clinics that are available when you need them for your tooth repair. Walk-in dental clinics – Dental clinics that allow patients to come in without an appointment are difficult to find in Oceanside. You can always visit a hospital emergency room without an appointment. Emergency 24-Hour Dental Clinics – Clinics that specialize in being open 24 hours a day are not available in Oceanside. Dr. Reder does offer a dental hotline that allows you to page the doctor for a dental emergency regardless of the time of day or night. After Hours Dentists – Regular dental offices that are open late, early or on the weekend are definitely a gift for anyone suffering with a dental emergency. South Oceanside Dental Group and Orthodontics is open on Saturday for those weekend dental problems. Emergency Dentists USA has the Oceanside emergency dentist that you need to care for your dental emergency. Our convenient listing of Oceanside emergency dentists makes it simple to choose the dentist located near your home or hotel, or the dentist who offers the services that you need right now. Simply scroll through our comprehensive listing of emergency dental offices and select the dental clinic that suits your needs or call our 24-hour dental hotline for a live operator who helps you to choose a great Oceanside emergency dentist. Directions Our referral service to Oceanside dental clinics. Conveniently located in the Trader Joe’s shopping center, South Oceanside Dental Group and Orthodontics cares for your dental emergency with a staff that includes Dr. Sami, the oral surgeon, Dr. Judge, Dr. Deljoui, Dr. Chi, Redford and Dr. Abedi. From full mouth restorations to tooth repairs, this dental office is prepared to care for your dental emergency. State-of-the-art dental technology and a well-trained staff are standing by to handle your chipped tooth, lost filling or painful abscess. Routine dental care like cleanings and x-rays are provided along with more extensive services like veneers, crowns, root canals and orthodontics. The Super Dentists offer pediatric dental care and orthodontics in five locations across the Oceanside area. From routine cleanings and x-rays to Incognito braces, Dr. Hoss and Dr. Keri employ a large selection of specialized dentists who offer their extraordinary services to the Oceanside area. When a dental emergency strikes, The Super Dentists are the heroes that you want by your side. This unique dental office provides after hours appointments as late as 7 p.m. for patients with a dental emergency. Dr. Reder, DDS provides the Oceanside area with caring and professional dental services that make it simple to leave with a smile. A 24-hour dental hotline gives you the instructions that you need to page the dentist after hours or on the weekends. From routine dental care like x-rays and cleanings to comprehensive examinations in an emergency situation, Dr. Reder is prepared to handle your dental emergency. Pediatric dentistry is Dr. Reder’s specialty, and his wonderful staff is standing by to make you feel comfortable and to restore that smile. With over 40 years of combined dental experience, Dr. Henniger and Dr. Heunergardt offer the cutting edge of cosmetic and restorative dentistry at North County Cosmetic and Implant Dentistry. From sedation dentistry to single day dental services, this Oceanside dental office prides itself on the use of the latest in dental technology offering the most cost-effective dental treatments with digital x-rays and laser dentistry. North County Cosmetic and Implant Dentistry offers sedation dentistry even for routine services, making it a perfect location for anyone with dental anxiety. – A visit to an Oceanside emergency dentist is similar to visiting your regular dentist. Most emergency dental offices also offer routine dental care to include x-rays and cleanings along with more complicated restorative dentistry. – Have your paperwork, health records, and insurance information ready. This additional information allows your new dentist to choose a treatment solution that works best for your particular dental problem. – Arrive 15 minutes early to facilitate filling out paperwork. This extra time allows you to ask questions about the procedure and get to know your Oceanside emergency dentist. – Most Oceanside emergency dental offices accept cash, credit cards, personal checks and even offer low-interest payment plans for more complicated dental procedures. Check with your new dentist to be sure that he or she accepts your form of payment. – Make sure you know if your insurance is accepted at this dentist. Choosing an in-network dental office can save you money when the time comes to pay that dental bill. – Just like any medical visit, make sure you know if you have any allergies to medicines. Bring a current list of your medications with you to visit your Oceanside emergency dentist. – Do you have intense dental anxiety or fear? Let the office staff know that you suffer from dental anxiety, and they can offer you a solution to your dental fears. Emergency Dentists USA is your premier resource for handling those common 24-hour dental emergencies. Our comprehensive and carefully chosen list of Oceanside emergency dentists provides you with the right dentist for your terrible toothache or your painful abscess. Other common 24-hour dental emergencies that you might encounter include broken brackets or loose braces along with a broken wire, a tooth that is chipped or broken or even a tooth that has been knocked out completely. 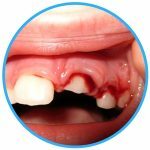 A partially extruded tooth is another common dental emergency that requires immediate attention from an Oceanside emergency dentist. You might also head to the dentist with soft tissue trauma to the lips, cheeks or tongue, with a lost filling or a loose or lost crown, or with something that is caught between your teeth. Common dental emergencies can be handled by your Oceanside emergency dentist without the hassle of heading to a hospital for dental care. Reading advice on the EmergencyDentistsUSA.com website is not a substitute for seeing a medical professional. Since every situation is unique, you should see a dentist for any of the situations below. A loose or lost crown is a common dental emergency that often sends a person to the dentist. A crown might become loose if you are chewing foods that are hard or sticky. If you are able to find the crown, rinse it thoroughly with water and fill the crown with toothpaste or over-the-counter dental cement. Place the crown over the damaged tooth to protect the tooth temporarily. Visit your Oceanside emergency dentist as soon as possible to have the crown repaired or replaced. An emergency toothache can be caused by a tooth that has decayed or even by an object that is caught between the teeth. First, rinse your mouth thoroughly with water and floss between your teeth to remove anything that could be stuck between your teeth. Never place aspirin or any other painkiller between the teeth and gum as this can cause chemical burns to the soft tissues of the mouth. Choose a cold compress outside of the mouth to relieve pain and swelling. 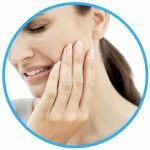 Visit your Oceanside emergency dentist as soon as possible to relieve the pain of that terrible toothache. Knocked out teeth are another common dental emergency that can be quite embarrassing. If your tooth is knocked out during an accident or fall, visit the local ER as soon as possible for treatment. Rinse your mouth with water and use a small piece of moistened gauze to apply steady pressure to any area that is bleeding. Find and rinse the tooth if possible. Use only plain water. Place the tooth into a container of milk or Save-a-Tooth and bring it with you to visit your Oceanside emergency dentist as soon as possible. You probably need an emergency tooth extraction if you have a tooth that has decayed beyond the point where it can be repaired by a dentist. An emergency tooth extraction should be accomplished as soon as possible in order to minimize the chance of complications and the increased need for medications. Your Oceanside emergency dentist usually begins the procedure by first taking an x-ray of the tooth and performing an examination. He or she then chooses a type of anesthetic that is used to keep you comfortable during the entire tooth extraction. A special tool is used to pull the tooth from the gum, and the gum is sewn closed with a type of suture that dissolves over time. The dentist then places a small piece of gauze over the gum to stop any bleeding that might occur. Full healing of your emergency tooth extraction usually occurs within one to two weeks. During this time period, it is important to follow any instructions given by your Oceanside emergency dentist. Avoid eating hard foods or drinking from a straw for a few days. Do not smoke or drink alcohol until the gum is completely healed. Take any medications as directed, and visit your dentist for a follow up appointment if required. You should definitely head straight to the hospital emergency room if your dental emergency begins with a fall, a sports injury or even an accident. 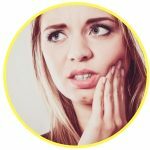 In these cases, you might have injuries to your body that are more dangerous than the actual dental problem. An emergency room physician can ensure that you are healthy enough to visit your Oceanside emergency dentist. For most common dental emergencies, your Oceanside emergency dentist is the perfect choice for treatment. He or she has the training and equipment to repair your teeth, and often charges less than the hospital emergency department. The Oceanside hospitals are also standing by to handle your dental problem that comes from a fall, a car accident or even a sports injury. It is always most important to see an emergency room physician if you have this type of dental emergency. Use the American Dental Association’s website located here to ensure that your new Oceanside emergency dentist is properly licensed and certified. This website also offers information regarding dental services across the nation. 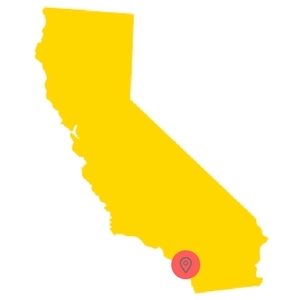 Use the California Dental Association’s website located here for California’s local dental information along with tips and tricks to get a great smile.